The Parker Knoll Albert chair which is suitable for so many areas of the home. Small but comfortable and upholstered by the finest of Parker Knolls Craftsmen. You can choose your fabric or leather, and also wood shade so you can easily coordinate the look to your own home. Free delivery across mainland England & Wales. 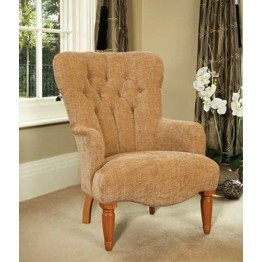 The Parker Knoll Albert Chair can be used in many areas of the home, and although small it is very c..